Ofcom has proposed BT and KCOM deliver the government’s Universal Service Obligation (USO), which will allow anyone in the UK to request a minimum standard of broadband connection. 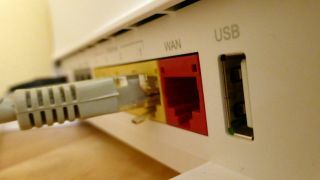 Commercial and government-funded rollouts of superfast broadband mean that 95 per cent of the UK population now has access to fibre services, however there is a recognition that some homes and businesses are at risk of being left behind. Under the terms of the USO, anyone in the UK will be able to legally demand a ‘decent’ broadband from 2020. The USO will initially define this as a 10Mbps service, although it’s possible that this could be increased in the future. Ofcom is tasked with delivering with the USO and invited interested parties to come forward in September. Eight providers applied to be a provider, but only BT, KCOM and Hyperoptic met Ofcom’s financial, technical and coverage criteria. Hyperoptic has since withdrawn from the process so Ofcom has suggested BT deliver the USO on a UK-wide basis outside Hull, while KCOM will deliver it in the Hull area. A number of other and smaller regional firms had put their hat into the ring, raising hopes that Ofcom might decide on multiple providers in different parts of the UK, but this has not been the case. Other providers are still able to apply before the consultation closes in February and Ofcom hopes the fist “demands” will be made at the end of 2019. BT had offered to fund and build 10Mbps broadband for everyone in the UK in place of the USO, but this proposal was rejected by the government last year.